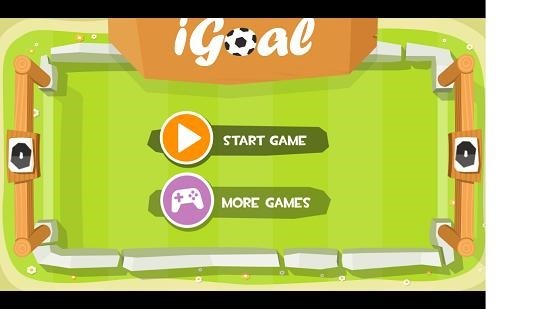 iGoal is a free football game app for Windows 8 and 8.1. 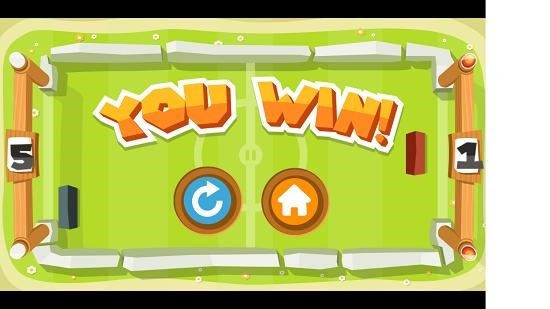 When you run the game, you will be presented with a screen which allows you to start the game by allowing you to choose the appropriate option on the main screen of the app, the options allowing you to either access the settings or start the game itself. 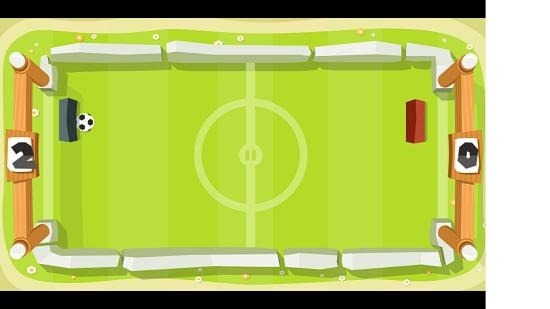 When you have chosen to start the game, you will be presented with the interface of an air hockey style football field where you can control the puck on the left side of the screen, and the goal is to shoot goals in the opponents goal puck by moving your puck around to hit the ball. The game only allows the up and down movement of the puck and the puck can’t be dragged horizontally. iGoal is a nice app which is available for free from the Windows App Store. When you launch the game on your device, you will be presented with the below screen. In the above interface, you can click on the Start Game button to begin the gameplay experience. The gameplay is shown in the screenshot below. You can see that the game is designed with good graphics and runs smoothly. 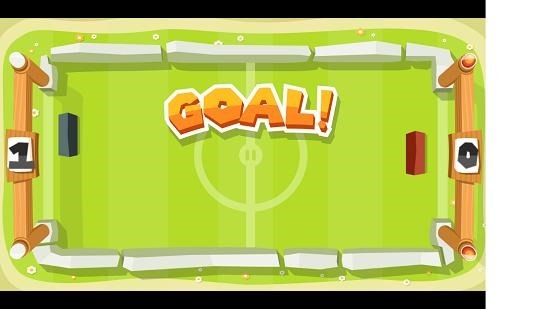 When you score a goal, the goal prompt is displayed on your screen as shown below. The aim of the game is to score 5 goals first. Whoever does that first wins the game. You can see in the screenshot below that I have won the game. You can then choose to restart the game, or go back to the main menu of the app. This is a wrap of the main features of iGoal for Windows 8 and 8.1.
iGoal is a nice app which makes for a good download on devices running Windows 8/8.1. You may grab it for your device from the link below.